Joel Raney's life as a working composer and musician has been shaped by many influences. Growing up in a rural Baptist church in Alabama fostered his love for the old hymns and the gospel style. As a performer and music director for theater productions, he gained insight into Broadway, popular, and jazz music. While owning his own commercial music company, he produced thousands of tracks of every conceivable style on short deadlines for fussy clients. His current role as one of the leading sacred music composers in the country is the culmination of all his experiences. 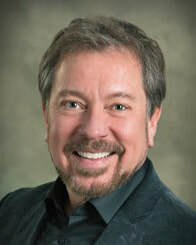 From early "playing by ear" explorations to earning a Masters in Piano Performance from The Juilliard School, Joel's keyboard training continued through work as an accompanist, in the theater, as a pianist on TV commercials (think of the "Rhapsody in Blue" ads for United Airlines) and as a church organist. His vocal direction skills were first developed while getting his undergraduate degree in Choral Conducting at the University of Northern Alabama, then honed through years of writing and recording jingles. Since 2011, he has been conducting his own choir at the First Baptist Church of Oak Park, Illinois. Today, Joel applies this lifetime of musical experience to the creation of sacred music. His hundreds of titles in print with Hope Publishing cover choral anthems for every church occasion, Christmas and Lent/Easter musicals, solo piano books, organ and piano duets, music for handbells, instrumental pieces and many other works. Although his main affiliation is with Hope Publishing, Joel's work can also be found in the catalogs of Shawnee Press, Lorenz Corp., Fred Bock Music, AGEHR and Alfred Music (Jubilate). Joel is a sought-after choral and keyboard clinician who stays busy performing throughout the country as a piano soloist and in duo-concert with organist and fellow Hope editor, Jane Holstein. He makes his home with his wife Susie in the Chicago suburb of Elmwood Park and is the father of three grown sons, Charlie, Sawyer, and Jesse. Joel Raney (b. 1956) started playing the piano sometime between learning to walk and learning to read. His love for gospel music began in a rural Baptist church in Alabama and it continues to strongly influence his music. After completing his degree in Choral Conducting at the University of Northern Alabama, he went on to earn a Masters in Piano Performance from The Juilliard School. As the guiding creative force at Hope Publishing, he has hundreds of titles in print. Besides his composing and arranging, Joel is a sought-after music clinician, choral conductor, and piano soloist. When not on the road, Joel is Minister of Music at the First Baptist Church in Oak Park, IL. He lives in the Chicago suburb of Elmwood Park with his wife Susie. Joel Interview from the J.W. Pepper blog "The Inside Voice"
This is a nice introduction to Joel and the story of his life. Click here to view.